Most of us will probably never be too old to race each other to the top of stairs or make silly bets. So the bet was on between us and our friend from Germany - he seemed extremely confident about the superiority of his vehicle. We picked out two rare Premium tanks from the USSR. Which tank gets your vote in this popularity contest? Find out more about each Premium tank in the "Featured Premium Tanks" section below. 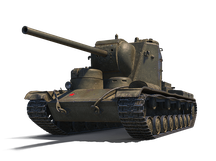 The KV-5 is a Tier VIII heavy from the Soviet tech tree. It has a strong hull and turret armor. This makes the KV-5 a good choice for ramming strategies. If taking down an opponent's tank like a heavy-weight wrestling champion is your idea of fun, send this metal monster to your garage! 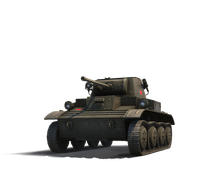 The Tetrarch is a Soviet tier 2 premium light tank. Its powerful radio and fast speed makes it ideal as a scout. Another perk is that it has a strong gun, which allows it to take out enemy scouts or weakened vehicles. 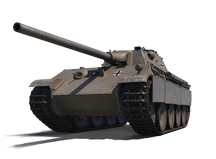 The Panther mit 8,8 cm L/71 is a Tier VIII German medium tank. This is a Premium version of the Panther II tank with an improved gun, but with slightly reduced armour and mobility. The 8.8 cm L/71 gun of this Premium Panther is quite capable of penetrating any enemy of its tier. When you encounter a higher-tier opponent, the high accuracy of the gun will help you to penetrate weak points. The other advantages of this vehicle are its good view range of 390 meters, and ability to run with any German medium crew members without penalty. This makes it perfect for training the crew of your E-50M or other German mediums. This tank is most effective when shooting from medium and long range and can be used for both attack and defence. The Panther mit 8,8 cm L/71 can also cooperate effectively in a platoon with heavy or medium tanks of its tier.